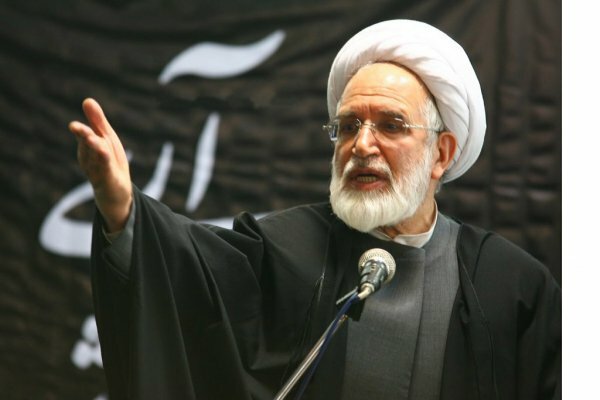 The extent of the [jurisdiction and power of the] jurisprudential leadership (Velayat-e-faqih) has expanded so much that I doubt in some cases, such great power was even given to the prophets and the infallibles by God and even I don’t think that God Himself has bestowed upon himself the right to have such conduct toward His creations…. Despite all the bitterness and darkness, we are still hopeful that the train which has left the tracks of the Constitution, Revolution [ideals] and Imam [Khomeini] would once again return to its original path and the wrongdoers would repent and the path would be paved for talks and cooperation…. These days the prisons of our country are filled with the disciples of the revolution and Imam, thinkers, elite, youth and freedom seekers and I still hope that the judiciary officials of the country would move to prepare the release of all political prisoners and prisoners of conscious instead of issuing political charges and handing down dictated verdicts…. Although until a year ago there was relative unity and integrity in the country, after the plundering of the people’s votes by those who held the election and those who monitored it, in the shadows of force and bayonet, the continuation of such unity was impossible, so much so that candidates and their sympathizers and the general public expressed opposition to this great visible oppression, and as we remember, all their demands in the beginning was reflected in the everlasting and lively chant of “Where is my vote?’ Unfortunately, respective officials, instead of addressing such a minimal demand and utilizing law and justice, resorted to violence and creating a security atmosphere and arrests and torture and harming the protesters and holding of show-trials and issuing of cliché verdicts; and imposed a great and irreparable cost on the system (nezam), country, and people. Many of the experienced religious, political and revolutionary figures were labeled as infidel, atheist, Mohareb (one who chooses to fight God), alien and traitor and all the material and spiritual capitals of this land and Revolution was put under the gavel….